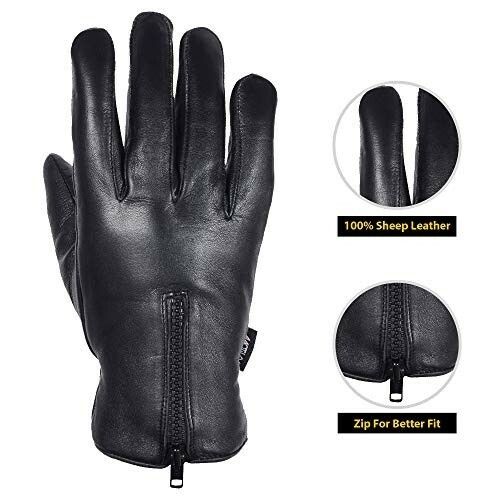 ➤MADE FROM GENUINE LEATHER: To trust a product to protect your hands from the harsh winter chill, it needs to be heavy and fitted. 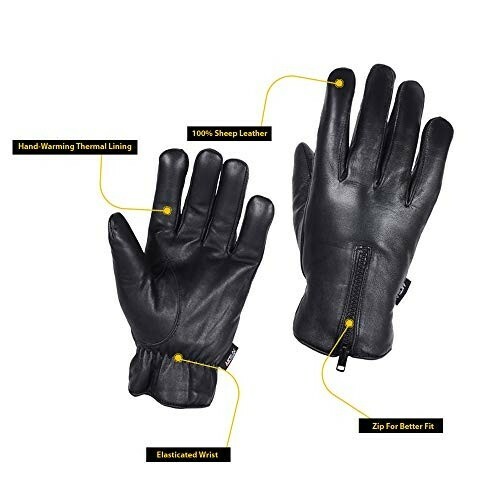 ➤WIND & COLD PROTECTION : Our gloves are completely waterproof and will protect your hands from harsh winds. 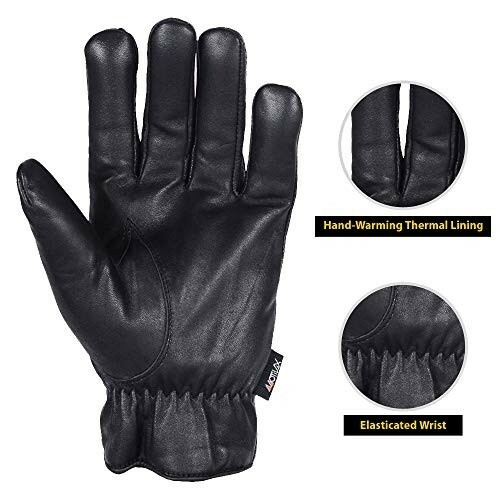 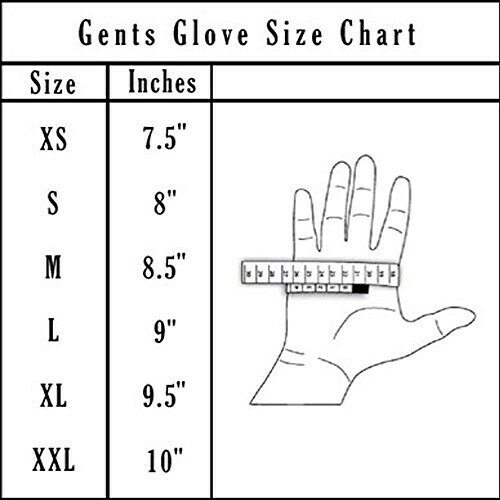 ➤GREAT THERMAL LINING: If your work requires you to wear heavy-duty gloves, you can slip these dress gloves underneath to help your hands stay warm. 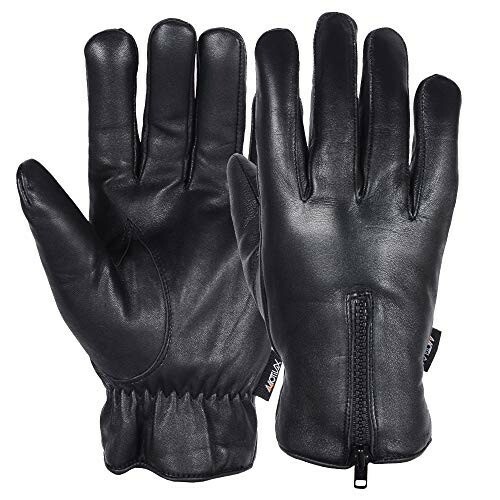 ➤ADJUSTABLE STRAP: We specifically designed our hand-wear to be adjustable for the rider wearing them. 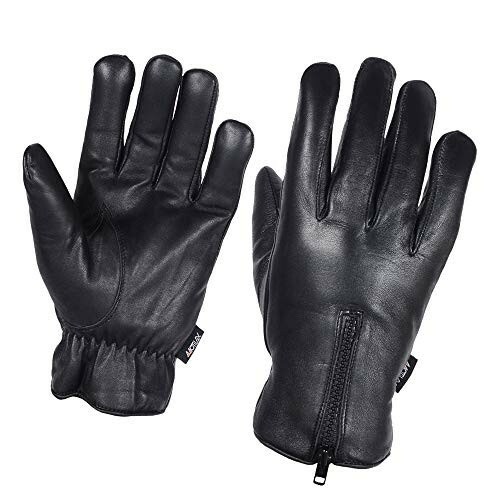 With the adjustable wrist straps that was designed to fit you perfectly.